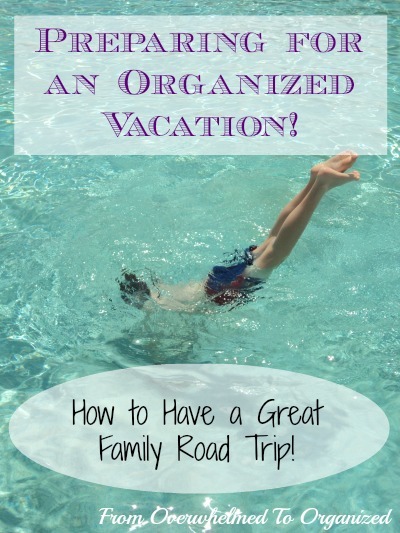 How to Have a Great Family Road Trip! 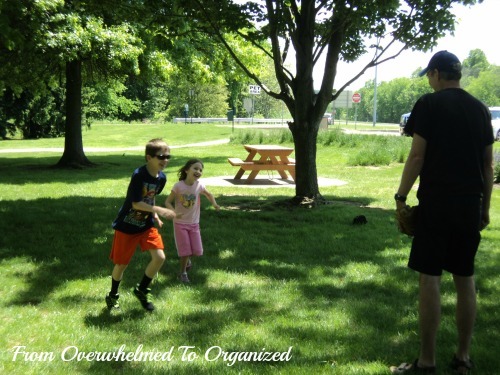 | From Overwhelmed to Organized: How to Have a Great Family Road Trip! Do you take road trips with your family? Or do you avoid them because the thought of being cooped up in a vehicle for hours on end overwhelms you? Early in our marriage I shared my love for road trips with my hubby. He'd never traveled very far by car so it took a bit of getting used to. But it's MUCH more economical than flying and since having our kids we've only taken road trip vacations. Our kids don't know any other way of traveling. Road trips can be great. Or not. I've heard plenty of horror stories of road trips gone bad. Sometimes those make for great shared memories... years later anyway! Like the time my parents' car got tired of pulling a trailer through the mountains. We were already hot because we didn't have A/C, but when the car started overheating, we had to turn the heater on full blast. Not fun at the time, but funny to look back on now. You can't control everything on a road trip, but over the years I've learned a few tricks to help make road trips great. 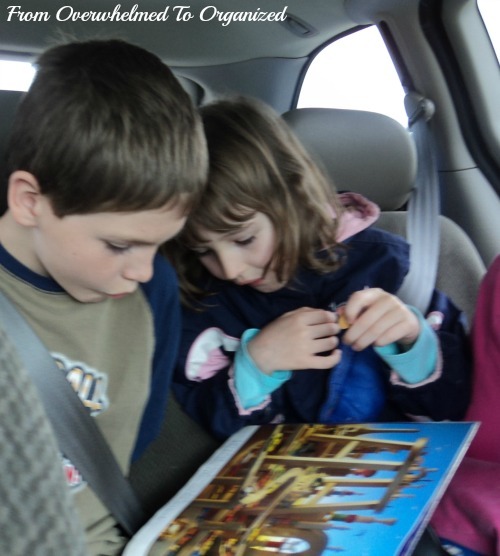 I'm sharing them with you so you can plan a great family road trip too! Make sure everything is topped up, pumped up, and in good working order. If anything needs fixing or replacing, you have time to do this before you leave. It doesn't mean you won't have any car problems on your trip, but it decreases the chances and allows you to take care of them at a place of your choice, rather than whatever you're closest to on your journey. This also typically decreases the cost involved :) While you're getting your vehicle ready for your trip, make sure you've got an emergency kit handy (NOT packed at the bottom of your trunk underneath all your suitcases!). This way they'll be accessible and you can use them whenever necessary. If you have multiple rows of passengers you can even have a garbage bag for each row. Empty the garbage at every stop so it doesn't accumulate too much and you don't get any funny smells building up. 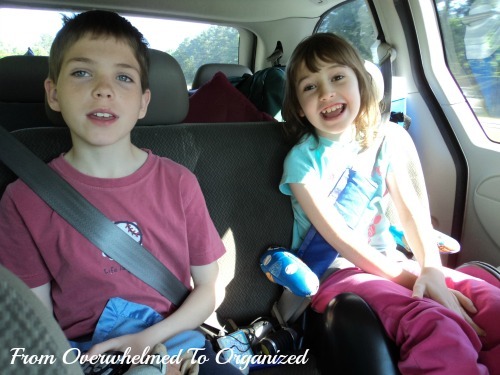 On our road trips, each of our kids has a backpack or bag filled with things to keep them busy in the van. They always take books (usually ones they haven't read before or in awhile so they are really interested in them). For young kids you can pack books with CD's so they can listen as well as read. For toddlers, lift-the-flap books and books with sounds can entertain for a long time. We also usually take some I Spy books so they can spend time searching for hidden items. If you're taking personal electronics, make sure you bring extra batteries (and one of those mini screwdrivers you need to get into a lot of of battery compartments! ), or chargers. If you don't have a car charger, you can buy a converter that allows you to plug regular chargers into the vehicle charger. Other activities we have packed are Leap pads, sticker books, Colour Wonder books, those magic/invisible pen pads, and even those small Aquadoodle pictures when they were little. These are all mess-free activities that help kids pass the time. You can also pack busy bags for younger children to keep them happy. We also include a few comfort items (stuffed animals). These are especially important if your kids will nap while you drive (and those precious times will really help your journey go faster!). 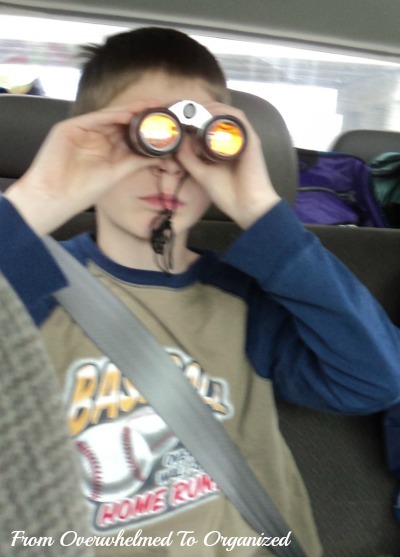 Older kids may enjoy travel games or using binoculars to see some of the scenery up close. This may be an obvious tip, but it's an important one! Movies really help pass the time on a road trip. We have a DVD player in the van and between each stop the kids watch at least one movie. Personal devices work well if you have kids with different interests or if the driver wants to listen to something other than a movie that they can't see (although surprisingly, even listening to a movie helps pass the time when driving!). We usually let the kids take turns choosing, but they'll both usually enjoy watching whatever the other one picks. We always take a small cooler with beverages as well cheese strings, fruits, veggies, yogurt tubes, etc. We also pack a bag with things like granola bars, crackers, and muffins. We keep extras further back to refill as needed when we stop. I know some people don't allow their kids to eat in the car regularly, but road trips would hopefully be an exception and will even add to the fun memories of the trip. Eating in your car means less stops on your trip, which means you get to your destination quicker. Or at the very least, you can take shorter stops if you eat while driving (just gas and bathroom breaks, rather than waiting in lines for food or taking time to eat at a restaurant). We usually stop for dinner, but we rarely stop for lunch now. We do often take a break at a rest area where we can run around and stretch our legs. This was during a modified Simon Says type game where they had to run to different trees. 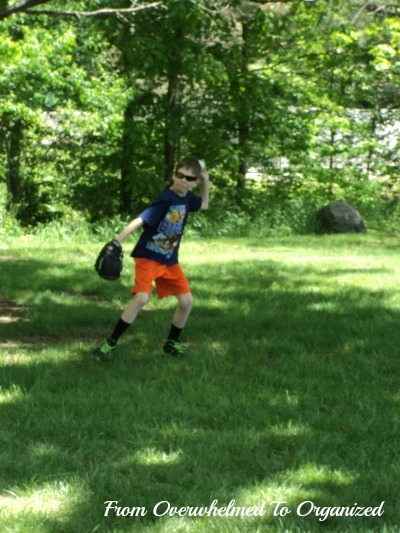 My son and hubby played catch for awhile before that. 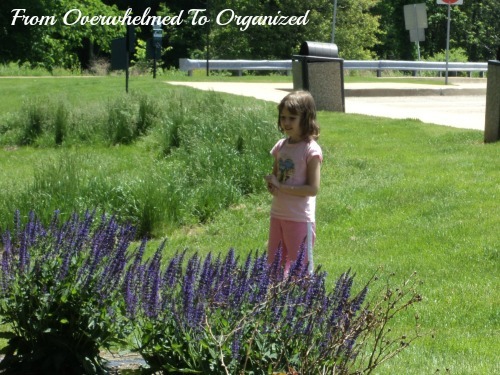 And my daughter went on a scavenger hunt and looked at all the pretty flowers. I did some stretches and walked around taking lots of pictures :) We love this kind of driving break and when we get back in the van everyone's more refreshed. Much better than just sitting down to eat at a fast food restaurant! 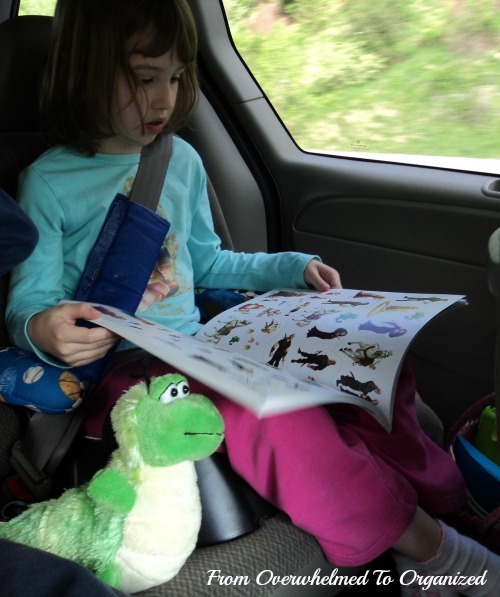 You never know when accidents or spills will happen on a road trip, especially if you have little ones! And if you're traveling through different temperatures, layers are important. We drive about once a year to Florida and often when we're leaving we've got winter coats and warm clothes on, but we peel those off as we hit the warmer temperatures. Same for heading back home - but it's not as fun adding layers :) We keep a basket on the floor beside the kids so it's easy to toss things in or take things out. This can be at every stop for younger kids or a few times throughout trip for older kids. Some ideas are new travel games, books, DVDs, activities, or snacks. Dollar store items are great for younger kids. The best things are those that keep them busy on the trip. You can also give each child money to buy something from the vending machines at stops. Whatever you think will motivate your kids to co-operate and be positive during the trip will work. It's hard, especially for younger kids, to understand how long you'll be driving, but it's really tiring for you to deal with all the "are we there yet" questions. 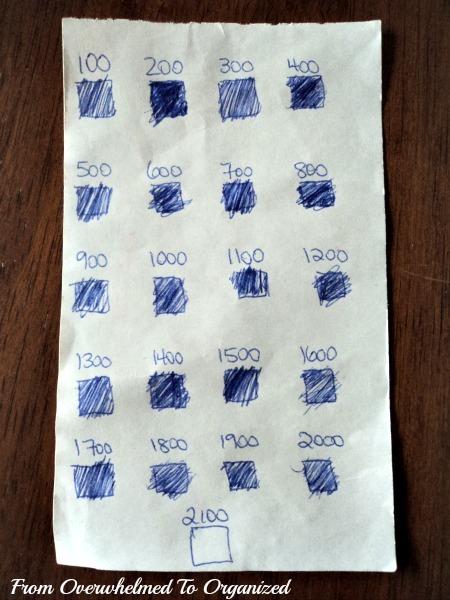 I've found helping the kids see how far the trip is, and then seeing where they are on the trip really helps. You can use a map for this, but that can be hard for some kids to grasp. This includes any suitcases, bins, or bags with everything you need when you reach your destination (clothes, toys, books, food, etc.). Then pack the things you want access to during the road trip portion of your vacation up front or on top. That way you have access to what you need and you don't have to unpack the whole van or trunk along the way. This bag should be stocked with pj's for all, changes of clothes (including underwear and socks) for everyone, a toiletry bag with the basics, and anything else you need for sleeping. This way you only need to bring in that one bag (and pack it back up the next morning), rather than multiple suitcases. This saves a ton of packing and unpacking time! For a larger family, you can use a larger suitcase or pack two overnight bags. If you're traveling with a baby or very small children you may need an extra bag with all their needs. Take into consideration whether you want to get to your destination quickly or stop at various sites or attractions along the way (some road trips are all about what you see and do on the trip itself!). You can book hotels in advance if you have a specific itinerary to follow. Try to plan your departure time(s) so you can avoid major cities at rush hour. Sitting in traffic is a sure way to have frustrated and irritable passengers. Which leads me to the last and most important road trip tip! 12. Pack lots of patience and flexibility! There's lots more I could say. I haven't even touched on driving through the night (which we usually do at least one way). I'll do another post with tips for that. And there are lots of creative road trip ideas online. Check out this Organizing Ideas for the Weekend post or my Organizing for Travel Pinterest board. 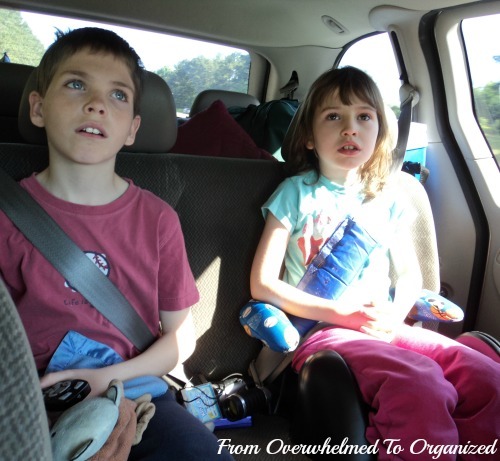 Do you take family road trips? Please share your best (or worst!) memories of road trips in the comments! Any other tips I missed? I love that distance traveled idea! !